Welcome to my personal webpage. 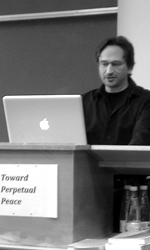 I am a political theorist working at Goethe University Frankfurt, under the Chair of International Political Theory at the Excellence Cluster “On the Formation of Normative Orders.” My current research is on crisis threory and its implications for contemporary political thought, and I also work on questions relating to the sovereign nation-state, democratic theory, global justice, the critical theory of Jürgen Habermas, and Immanuel Kant's political philosophy. I am the author of the book, Commercium: Critical Theory from a Cosmopolitan Point of View, as well as several peer-reviewed articles, and have taught courses on the history of political thought, pragmatism, crisis theory, and nationalism in New York, Berlin, and Frankfurt. In 2014, I was a Gerda Henkel Fellow at the Collège d'études mondiales, Fondation Maison des science de l'homme, Paris, and in 2013, I was a Kassel Foundation Fellow at the Institute for Advanced Study of the Humanities (Forschungskolleg Humanwissenschaften) in Bad Homburg, Germany. From May 2011 to December 2012, I was part of the Einstein Foundation project on “Rethinking Crisis” at the J.F.K.-Institut für Nordamerikastudien, Freie Universität Berlin. I completed my bachelor’s degree at Vassar College and received my master’s degree and Ph.D. at the New School for Social Research in New York, under the supervision of Nancy Fraser. • An online version of my current CV, which can also be viewed as a .pdf file. • The page on my teaching experience presents an overview of my experience and philosophy, with links to a summary of my student evaluations and a sample syllabus from one of my recent courses. • My papers page includes abstracts of my recent peer-reviewed publications, along with links to non-published versions of my papers in .pdf form. 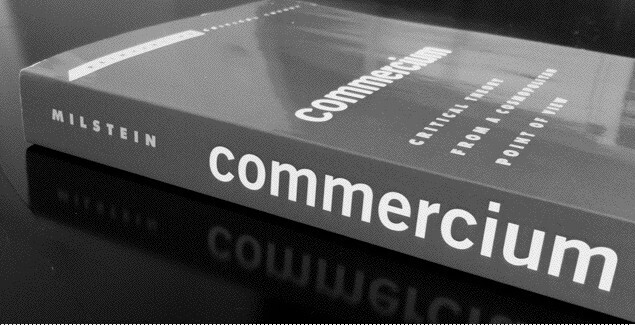 • Finally, you will find an information page on my book, Commercium: Critical Theory from a Cosmopolitan Point of View, including advance praise and purchasing information.